Many of you expressed a desire to get info on how to perform Moon Magick, so I’ve written instructions for a Leo New Moon Ritual you can perform. I hope you’ll take the time to magickally celebrate tomorrow’s upcoming New Moon which will occur at 19:51 Degrees Leo, on Sunday, August 12th, 2007 at 4:02 PDT; 1:02 EDT; and 3:02 CDT. I look forward to your comments and any questions you might have. Happy New Moon! 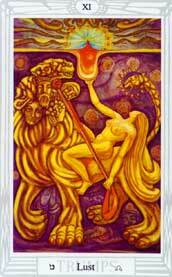 Happy New Moon in Leo everyone! I just did my quick mini-ritual, and hope you did too. Share your rituals with the group in the Magickal Forum.